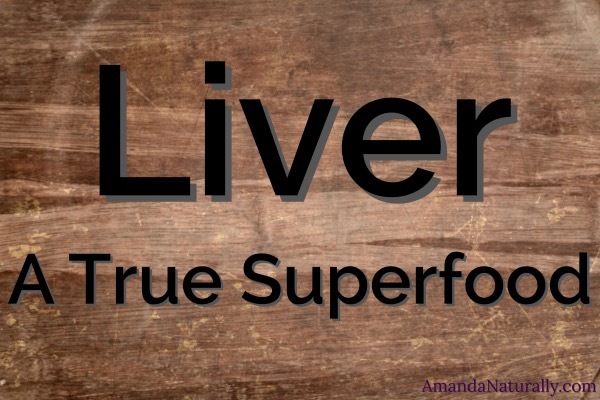 Liver – A True Superfood! It needs to be jam-packed with nutrients (i.e. incredibly nutrient dense). So every single bite delivers a high concentration of nutrients. Nutrients need to be life-giving. They should include (but not be limited to) things like vitamins A & D, folate, zinc, omega-3’s (the usable forms, not the plant-based forms) and a full spectrum of B’s. 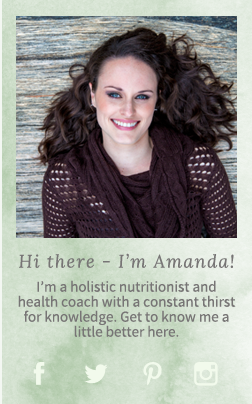 They should impact most if not all systems in the body – endocrine, nervous, digestive, immune and detoxification. While the acai berry contains vitamin C and antioxidants, it definitely doesn’t contain a full spectrum of life-giving nutrients. My favourite true superfoods are vegetables (of course), egg yolks, grassfed butter, seafood (especially bivalves like mussels, oysters and clams), fermented foods (like sauerkraut) and…. But wait? I’ve always heard that liver is a filter organ and it stores all our toxins so we should avoid it! 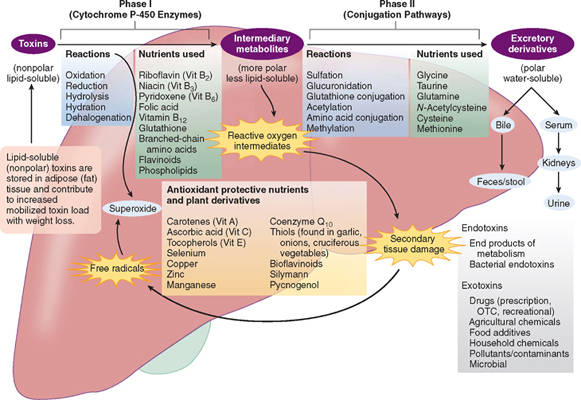 The liver has a variety of responsibilities (including storing vitamins and minerals – more on that later), but the most notable one is detoxification. What does that mean? Well true detox (not the juice-cleansing, fasting, only eating salads BS) is the process of transforming and clearing toxic substances from the blood. Phase 1 – the liver starts to transform the dangerous chemical into less dangerous ones (although sometimes this phase ends up creating more toxic substances – for example alcohol gets converted into formaldehyde, a known carcinogen). Phase 2 – the partially transformed chemical gets attached to other molecules which make them water soluble. They are now able to be excreted by the kidneys in the urine, or by the gall-bladder/stool through bile (another reason why you don’t want to be constipated – slow transit time will allow toxins that have already been excreted). If phase 1 is working great, but phase 2 is sluggish (usually due to lack of nutrients required for the specific processes) then there can be a build up of phase 1 byproducts. This build up gets shuttled out of the liver and into fatty tissue where it is inert and won’t damage the body (in theory – but if the fatty tissue it hangs out in is the brain, it can cause big problems). The liver is not a sponge. It does not store toxins. It stores vitamins and minerals to aid in detoxification. Pay special attention to that last line. The liver stores vitamins and minerals. Why? We forget that food is more than just fuel. It is the building blocks for all new tissue, and the machinery for all of our systems to function. Detoxification processes are run by enzymes that are created from vitamins, minerals and proteins. So in order for it to do its job, the liver must be chock full of nutrients. Liver is a Potent Superfood! 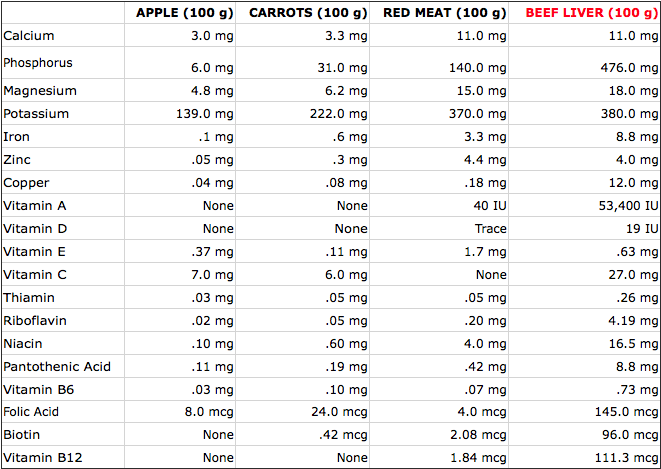 the amino acid balance is different than muscle meat, in a good way. Case in point – glycine. This important amino acid is very low in muscle meat and high in offal. So if you’re not consuming the entire animal (or worse, you’re not consuming any animal protein), you are definitely going to be deficient in glycine. Glycine is critical for gut health, connective tissue health and immune system regulation. In many traditional cultures only the organ meats were consumed. In others they were reserved for royalty or recently married couples (as fertility aids). Okay so it’s not full of toxins, but what about the cholesterol? Cholesterol in our diet has very little impact on our systemic cholesterol levels. Elevated cholesterol in our body is a symptom of inflammation, stress and degeneration. It in itself is not the disease. Over half of people who are hospitalized with a cardiac event (heart attack) do not have high cholesterol. In fact, as you age, low cholesterol is much more dangerous than high cholesterol. Elevated cholesterol needs to be looked at as a warning sign, not the problem itself. It would be like every time we see a house on fire, we also see loud, noisy, fire trucks. So we start assuming that the fire trucks are causing the problem. If we just stop the fire trucks, the noise stops! But does the fire actually go away? No. That’s what’s going on when we treat cholesterol as the problem. Remember – cholesterol is a vital, life-giving substance, without which we will die. Elevated cholesterol is a symptom. Life-giving you say? Why yes! Cholesterol is the building blocks of vitamin D, testosterone, estrogen and progesterone (among other steroid hormones). It also makes up about 25% of our brain (hence the massive cognitive decline that many people taking statins like Crestor and Lipitor experience). In fact, there are many arguments for why you should eat more cholesterol – namely because foods high in cholesterol are also high in choline, an absolutely essential nutrient (albeit recently essential – it was added to the list in 1998). Most North Americans are significantly under-consuming choline due to fear of cholesterol. This is especially a problem for pregnant and breast-feeding women since choline is critical for fetal growth and milk production. In an ideal world you are able to source all of your meat from grassfed and pastured sources, however I know that is not always possible (both physically and financially). I always recommend to clients to start by purchasing the fatty cuts of meat organic (since those cuts store the most junk). So things like bacon, marbled steaks, and sausages really should be a priority. But if we consider everything we said above – that the liver doesn’t store toxins and it’s so low fat so even if the animal has been exposed to a ton of junk during its lifetime in a confined animal feeding operation (CAFO), there isn’t really anywhere for the liver to hold on to those toxins. Buying organic bacon is way more important than buying organic liver. Standard liver is still way better for you than no liver at all! So, who needs liver? Everyone! What’s the best way to eat liver? One quick tip – if you don’t like it, start with chicken livers – they are much more mild in flavour. I still struggle with beef liver (our pup gets the beautiful grassfed beef liver from the cow we purchased, sighhh), but I actually find chicken livers quite delicious now! Oh and I also recommend starting with pate – it completely eliminates the chewy, texture issue people have with fried livers. Note: many recipes say to soak livers in milk or buttermilk for a few hours or overnight to reduce. If you’re sensitive to dairy, the alternative suggestion is often soaking it in lemon juice. I’ve never done this, but I likely will the next time I try beef liver. So tell me, have I convinced you to eat liver? 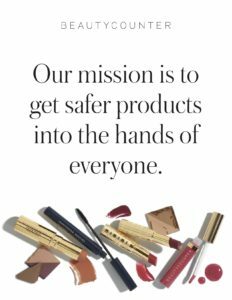 Newbies – are you going to give it a try? Or do you already like it and are relieved you can finally eat it again? 4 Responses to Liver – A True Superfood! Can you please tell me why it’s more important to buy organic bacon !! Before organic liver.